The Transportation Security Administration (TSA) has released updated Pipeline Security Guidelines recommending measures to protect pipeline cyber assets. The updated guidelines revise incident response protocols, focus on operational technology systems, and recommend consideration of the approach of the National Institute of Standards and Technology. Van Ness Feldman’s recent alert, prepared by our Cybersecurity team, provides additional detail and analysis. PHMSA Rulemakings Update. The tables below summarize the status of the Pipeline and Hazardous Materials Safety Administration’s (PHMSA) pending pipeline safety rulemaking initiatives, as reflected in the Department of Transportation’s April Significant Rulemaking Report and the Unified Regulatory Agenda, released by the Office of Management & Budget’s (OMB) Office of Information and Regulatory Affairs (OIRA) in Fall 2017. The Unified Regulatory Agenda appears in two principal parts: Current Agenda Agency Regulatory Entries for Active Actions and Current Long Term Actions. New information appears in bold. PHMSA provides additional time for public comment on renewal of information collection. On April 23, PHMSA issued a notice of an additional 30-day comments period regarding the renewal of an information collection (OMB control number 2137-0049) that requires owners and operators of gas pipelines to maintain records, make reports and provide information to the Secretary of Transportation at the Secretary’s request. The existing information collection expires April 30. Comments are due May 23. 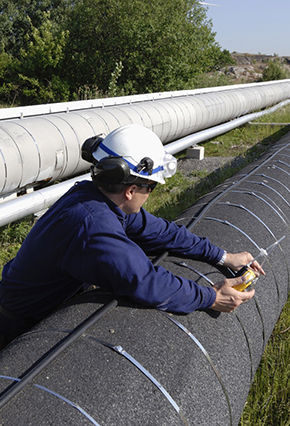 GAO releases report presenting views on pipeline odorization. On April 18, the Government Accountability Office (GAO) released a report summarizing views of various stakeholders, including officials of PHMSA and the National Transportation Safety Board, state officials, and other stakeholders on the odorization of gas pipelines. The report, entitled Gas Pipeline Safety: Stakeholders’ and Officials’ Views on Federal Odorizing Requirements, states that general agreement exists that distribution pipelines should be odorized because of their proximity to populated areas, and that the majority of state officials and stakeholder did not view odorizing gas gathering pipelines as necessary because of technical challenges and the primary location of these types lines in rural areas. With respect to transmission pipelines, stakeholders disagreed on whether odorization improves public safety, with some stakeholders stating that such lines tend to operate at pressures that cause ruptures rather than leaks, thereby diminishing the effectiveness of odorization, and because odorization can adversely affect certain industrial processes. API and AOPL release report on pipeline safety. The American Petroleum Institute (API) and Association of Oil Pipe Lines (AOPL) released their 2018 “Pipeline Safety Excellence Performance Report” finding that total pipeline safety incidents affecting people or the environment dropped 19% from 2013-2017, and that total incidents increased 3% over 5 years. Incidents caused by integrity management failures fell 35 percent; and incidents caused by operations or maintenance failures fell 24 percent. HB 1419. The Preventing Explosions, Nondisclosures, and Toxic Releases Act, introduced April 23, would require the Colorado Oil and Gas Conservation Commission to adopt rules to ensure wellhead integrity of oil and gas production wells and to address their permitting, construction and closure. Each oil and gas operator would be required to provide electronic notice of the location of each flow line and gathering pipeline to each local government within whose jurisdiction the subsurface pipeline is located. Operators also would be required to share development plans with municipalities and counties within whose jurisdictions the proposed operation would occur. The bill passed the Colorado House of Representatives on April 30. Senate Resolution 1534 would direct the Illinois Department of Natural Resources to compile a report reviewing the current state gas pipeline regulations, including those applicable to gas extraction and underground gas storage, and recommend regulatory changes to improve public safety. The report is to be transmitted to the Illinois legislature no later than December 31. The proposed resolution has been referred to the Senate Environment and Conservation Committee.